As Thai Prime Minister General Prayut Chan-Ocha visits Myanmar to revive the stalled Dawei Special Economic Zone (SEZ), the governments of Thailand and Myanmar should cooperate to establish a legal framework protecting the human rights of the area’s residents, said the ICJ. The multi-billion dollar Dawei development, strategically located along the Thai-Myanmar peninsula, will be one of Southeast Asia’s largest industrial complexes, with a 250 sq km deep-sea port, petrochemical and heavy industry hub. After the project failed to attract sufficient investment, it was taken over directly by the Dawei SEZ Development Company, jointly owned by the governments of Thailand and Myanmar. 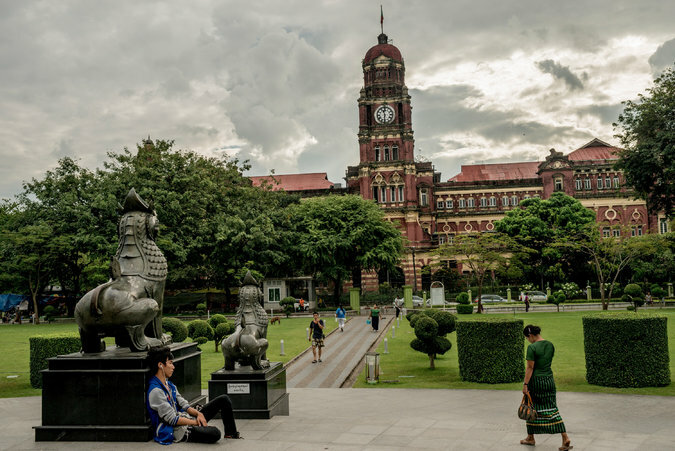 My Colleague, Vani Sathisan, has written an article published this week in the Myanmar Times on the human rights issues in Myanmar’s nascent Special Economic Zones (SEZs) that is relevant for investment in general. In an attempt to shed its pariah image after decades of economic isolation, Myanmar has been opening up its door to billions of dollars of investment. Special Economic Zones have been a means to facilitate investors to inject capital into developing deep-sea ports and industrial estates. Talks to revive the Dawei SEZ begin again this week as the new Thai Prime Minister visits Myanmar on his first official overseas trip. The international community cannot ignore the significant negative repercussions for human rights and the environment amidst the gold rush. Villagers continue to be displaced without fair and adequate compensation for their property, farmers and fishermen lose their livelihoods, zero or few free prior consultations with the residents were held and access to judicial and non-judicial remedies is not guaranteed. Without proper environmental and land laws, as well as an effective judiciary to enforce these laws and provide appropriate judicial remedies, these development projects risk being counterproductive for sustainable development and the protection of human rights in Myanmar. A rights-compliant investment culture is critical to promote and preserve sustainable development for the country. Human rights Indicators and Private Security Companies. Measuring Business & Human Rights is a research project that aims to advance the capacity of business managers and corporate stakeholders to assess the extent to which companies meet their responsibility to respect human rights. Measuring Business & Human Rights is carrying out a study to clarify the possible intersection between such initiatives and highlight common issues, in particular through the analysis of the use of human rights indicators. The project seeks to apply human rights indicators to a variety of business activity. This week it looks at Private Security Companies operating in conflict zones or areas of weak governance, both of which are relevant to Myanmar.